Dentalign studio now offering Insignia braces. Insignia is the customization of orthodontic braces, made to perfectly model the shape of your teeth and help you achieve a flawless smile. Unlike regular braces, Insignia is the most advanced orthodontic system available today. There are many pros to Insignia as an alternative to regular braces. 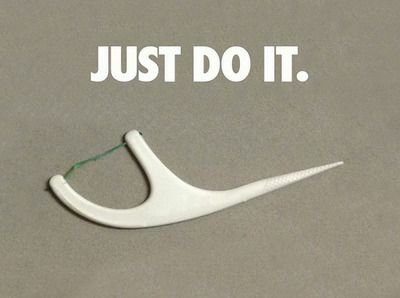 Instead of regular, stock braces and arch wires being used on your teeth Insignia customizes a special fit just for you. Also, digital planning and 3D visibility allows your dentist to add precise detail and customization to your teeth instead of eyeing bracket placement with regular braces and manual adjustment, thus saving a lot of time. Insignia also uses a new digital technology that allows the patient to see what your new smile will look like after the treatment is completed. The placement of insignia takes much less time and is much more efficient. For example regular braces take approximately two hours for placement, while Insignia takes about forty-five minutes. Thus, customization means less wearing time in braces and also a more comfortable adjustment. Insignia allows for you to achieve the perfect smile, quicker, and more comfortably than ever before. For further information please call Dentalign Studio (718)821-7432. How do tooth cavities develop? Many people are prone to cavities due to improper maintenance of the teeth, so it is very important to take good care of them from early stages to prevent any tooth decay or disease. Cavities will form due to a buildup of bacteria and plaque on the teeth’s surface. The tartar and plaque will build up on your after a period of time, create a very acidic environment in the area and eat away at the enamel forming tiny holes in the hard surface of the tooth, otherwise known as tooth decay. With time, this acidic environment keeps getting stronger on the surface area of your tooth and these tiny holes will increase in size and become larger cavities. 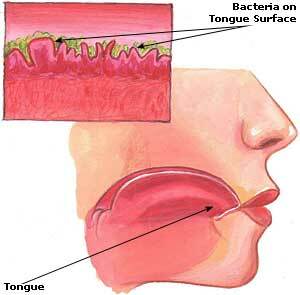 Symptoms of cavities include irritation, sensitivity to foods that are hot, cold or sweet, and may cause toothaches. Treatment of the cavity includes tooth remineralization and restorations such as composite fillings, ceramic inlays, onlays or after extensive decay endodontic treatment, the dreaded root canal. Tooth remineralization includes reversing very shallow cavities by treating them with a substance that contains fluoride or calcium that re-hardens and remineralizes the tooth structure. Restoration such as composite fillings or inlays are the most basic types and are placed when a there is small or average sized cavity. 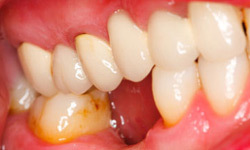 However, when the cavity increases in size, an onlay may be needed to restore the tooth. In more serious cases, if the cavity extends to the center nerve of the tooth and becomes infected, a root canal will need to be performed. These could easily be prevented if you make sure to drink a lot of water, brush your teeth at least twice a day, floss regularly and visit the dentist at least twice a year.